The Triad Lawyer | Just a personal side of the law– opinions, ideas and thoughts. Heard an interesting talk about the Kenan Institute for the Arts. This organization works in partnership with UNC School of the Arts (UNCSA). Focus on training and generating Creative Leaders, Creative Catalysts, and Creative Communities. Fellowships offered. A certificate for on-line studies offered too. New ideas plus learning how to cultivate and produce the idea will lead to advances for the whole community. Kenan Institute is for persons in Winston-Salem and beyond. http://www.baldwinhodgellp.com/ (last viewed this website was old school). In one investigation, Barton Baldwin discovered large accounting irregularities for a bank that others missed. He confesses that he enjoys forensic accounting. Mr. Baldwin is a practicing CPA in the Eastern part of North Carolina. Tell him Kirk Sanders sent you. Dr. Kevin Cherry, Deputy Secretary of NC Department of Natural & Cultural Resources will give a talk about how the Town of Salem fits into the broader historical context of North Carolina (the Colony) in 1766. This is the oldest historical society in NC and one of the oldest in the nation (founded in 1895). The Society has published a number of books. If you have aging parents, you may well be their caregiver, providing medical, emotional, and/or financial support. Recognizing that that the caregivers need resources, support, information, and community, ACAP Winston-Salem (Adult Children of Aging Parents) is formed. The first monthly program is Sept. 18, 2018 at Knollwood Baptist Church, Fellowship Hall, Bldg B. 5:30-7:00. Meetings will be the 3rd Tuesday of the month. 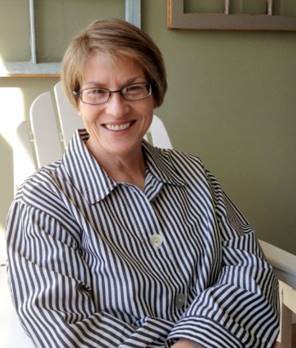 Author Ann McMan writes good humor. There doesn’t seem to be good humorous novels these days. She has a much beloved Jericho novel series which is set in Southwest Virginia. Personally, I love her novel, Backcast, and would pit it against any on the New York Times Best Sellers’ list. She’s received numerous writing awards, including a silver medal by the Independ Publisher Awards (IPPYs) for Backcast, an IPPY bronze for Goldenrod. She’s a top seller on Amazon. “Could wildflowers become the new, natural way to reduce pesticides? Find out how farmers have planted tailored strips of wildflowers to attract pest-eating insects as a means of reducing the need for pesticides. Free band classes taught by Robah Ogburn & Connie Merritt. 4th Graders through adults welcome. It’s never too late to learn. 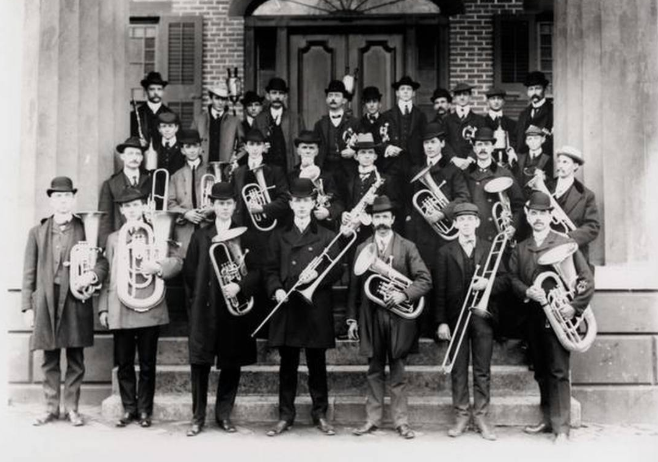 Many folks have learned to play band instruments (brass & woodwinds) in these classes. Great opportunities to play in the Moravian bands throughout the community. Party Bar – Tailgating Services – Topshelf Co.
With years of hospitality services experience for corporate events nationwide, Topshelf can handle your needs. Call Brian Efird 336-918-1135 to make your event one to be remembered. Jim Early, founder of the society, authored the book on NC BBQ: The Best Tar Heel Barbecue Manteo to Murphy. Enjoy some wood smoked Q, banana pudding or cobbler, and slaw. As they say about barbecue in NC: “If it ain’t wood smoked, then it’s just roasted pork”. Not on the list that I like: Lexington Barbecue, love banana pudding at Mr. Barbecue (Winston-Salem), Parkers Barbecue (Wilson- I’ve only had the pleasure of the catered Q). Since I loaded this site, I’ve added Red Bridges (Shelby) (July 2018). Also ate at Alston Bridges in Shelby (June 2018). Both Bridges learned barbecue from Stamey’s in Greensboro. Alston Bridges still uses the Stamey’s method. Red Bridges made variations to its bbq. This fine car has 44,000 Miles, new battery, electric fuel pump, coil, electronic ignition , spin on oil filter kit, canvas, side curtains, stainless steel exhaust, bumpers, rear leaf springs , door and dash covering and rebuilt shocks and front end. Garaged. Well taken care of. $22,500 is the asking price.